This week is the start of Overdue’s third-annual Spooktober spookfest, a month full of scary (or at least somewhat spooky) books that will get you in the mood for Halloween! 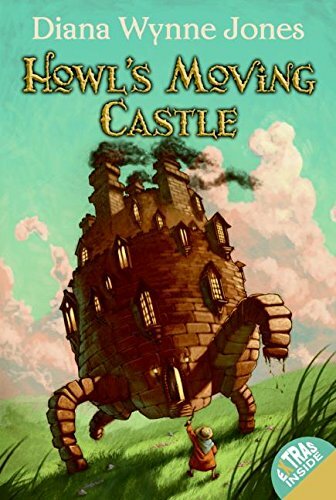 Our first book is Diana Wynne Jones' Howl's Moving Castle, a book about a young girl transformed into an elderly woman, who gets wrapped up in a charming wizard's quest to avoid all responsibility whatsoever. With our special guests Siri and the Christmas Creep, we touch upon the horrors and benefits of aging, the Billboard Magic Charts, Prince Justin, and WitchYelp. This week's episode is brought to you in part by our good (totally not haunted) friends at Squarespace.